William Theodore Aquila Barber, Raymond Lull, the illuminated doctor : a study in mediaeval missions, লন্ডন: সি.এইচ. কেলি, ১৯০৩. Anthony Bonner (ed. ), Doctor Illuminatus. A Ramon Llull Reader (প্রিন্সটন বিশ্ববিদ্যালয়, ১৯৮৫), includes বিধর্মী বই এবং তিন প্রজ্ঞাময় পুরুষ, দ্য বুক অফ দ্য লাভার এন্ড দ্য বিলভড্‌, পশুদের বই, and আর্স ব্রেভিস; as well as Bonner's "Historical Background and Life" at ১-৪৪, "Llull's Thought" at ৪৫-৫৬, "Llull's Influence: The History of Lullism" at ৫৭-৭১. 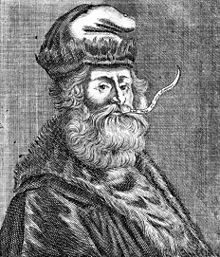 Anthony Bonner, The Art and Logic of Ramon Llull: A User's Guide, লেইডেন: ব্রিল, ২০০৭. Alexander Fidora and Josep E. Rubio, Raimundus Lullus, An Introduction to His Life, Works and Thought, টার্নহাট: ব্রেপোলস, ২০০৮. Martin Gardner has written extensively about Llull. His analyses can be found in Logic Machines and Diagrams ও বিজ্ঞান - ভাল, মন্দ এবং ফালতু. J. N. Hillgarth, Ramon Lull and Lullism in Fourteenth-Century France (অক্সফোর্ড বিশ্ববিদ্যালয় ১৯৭১). Mark D. Johnston, The Spiritual Logic of Ramón Llull, অক্সফোর্ড: Clarenden Press, ১৯৮৭. Antonio Monserat Quintana, La Visión Lulliana del Mundo Derecho (Palma de Mallorca: Institut d'Estudis Baleàrics ১৯৮৭). Pereira Michela, The Alchemical Corpus attributed to Raymond Lull, লন্ডন: দ্য ওয়ারবার্গ ইনস্টিটিউট, ১৯৮৯. Lorenzo Riber, Raimundo Lulio (বার্সেলোনা: সম্পাদনা ১৯৩৫, ১৯৪৯). Frances Yates includes a brief chapter on Lull in "The Occult Philosophy in the Elizabethan Age" (লন্ডন, Ark Paperbacks ১৯৭৯). Frances Yates, "Lull and Bruno" (১৯৮২), in Collected Essays: Lull & Bruno, বালাম ১, লন্ডন: Routledge & Kegan Paul.